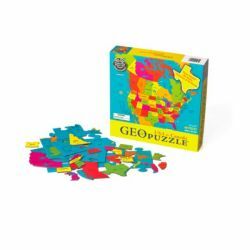 From Arizona and Alberta to Washington and Yukon, GeoPuzzle USA and Canada makes learning geography fun! 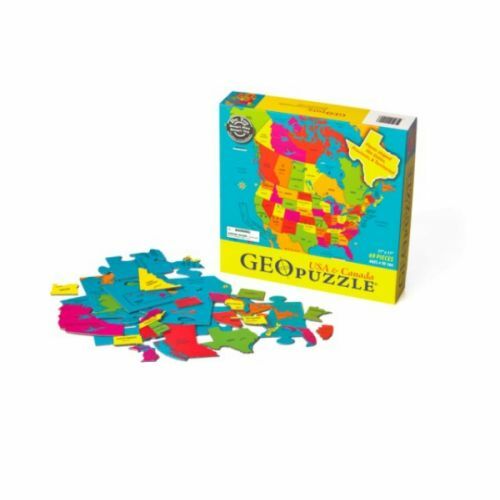 GeoPuzzle USA and Canada has pieces shaped like states and provinces, and helps to build fine motor, cognitive, language, and problem-solving skills. 69 jumbo-sized pieces, 17 x 17 inches.